The Cost-Based Optimizer (CBO) we have released just recently achieves stunning results in industry standard benchmarks (and not only in benchmarks)! The CBO makes decisions based on several factors, including shape of the query, filters and table statistics. I would like to tell you more about what the table statistics are in Presto and what information can be derived from them. Now, Presto needs to create an execution plan for this query. It does so by first transforming a query to a plan in the simplest possible way — here it will create CROSS JOINS for “FROM customer c, orders o, lineitem l” part of the query and FILTER for “WHERE c.custkey = o.custkey AND l.orderkey = o.orderkey”. The initial plan is very naïve — CROSS JOINS will produce humongous amounts of intermediate data. There is no point in even trying to execute such a plan and Presto won’t do that. Instead, it applies transformation to make the plan more what user probably wanted, as shown below. 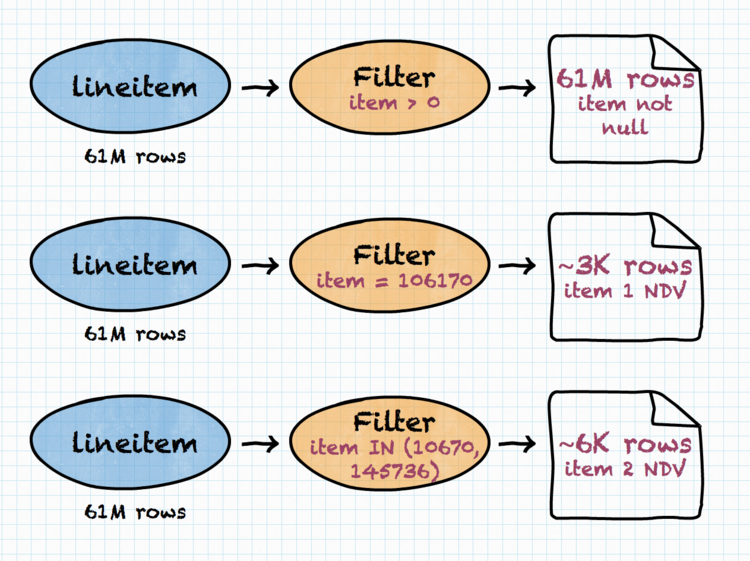 Note: for succinctness, only part of the query plan is drawn, without aggregation (“GROUP BY”) and sorting (“ORDER BY”). Indeed, this is much better than the CROSS JOINS. But we can do even better, if we consider cost. Without going into database internals on how JOIN is implemented, let’s take for granted that it makes a big difference which table is right and which is left in the JOIN. (Simple explanation would be that the table on the right basically needs to be kept in the memory while JOIN result is calculated). Because of that, the following plans produce same result, but may have different execution time or memory requirements. CPU time, memory requirements and network bandwidth usage are the three dimensions that contribute to query execution time, both in single query and concurrent workloads. These dimensions are captured as the cost in Presto. Our Data Scientist knows that most of the customers made at least one order and every order had at least one item (and many orders had many items), so “lineitem” is the biggest table, “orders” is medium and “customer” is the smallest. When joining “customer” and “orders”, having “orders” on the right side of the JOIN is not a good idea! However, how the planner can know that? In the real world, the query planner cannot reliably deduce information just from table names. This is where table statistics kick in. average data size for a column. Of course, if some information is missing — e.g. average text length in a varchar column is unknown — a connector can still provide other information and Cost-Based Optimizer will be able to use that. Having this knowledge, Presto’s Cost-Based Optimizer will come up with completely different join ordering in the plan. As we saw, knowing the sizes of the tables involved in a query is fundamental to properly reordering the joins in the query plan. However, knowing just the sizes is not enough. Returning to our example, the Data Scientist might want to drill down into results of their previous query, to know which customers repeatedly bought and spent most money on a particular item (clearly, this must be some consumable, or a mobile phone). For this, they will use almost identical query as the original one, adding one more condition. 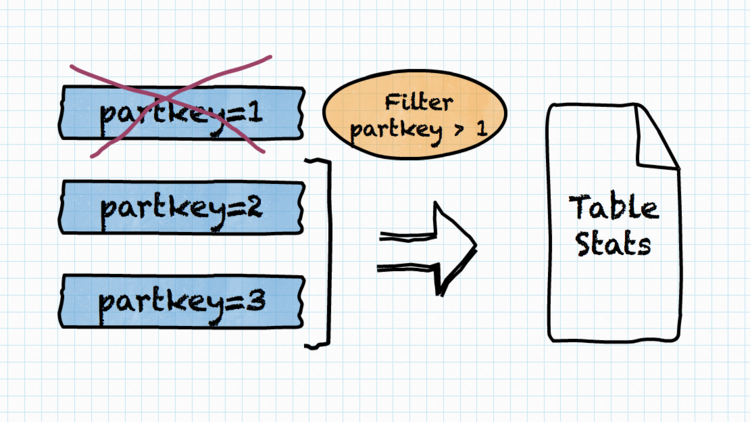 The additional FILTER might be applied after the JOIN or before. Obviously, filtering as early as possible is the best strategy, but this also means the actual size of the data involved in the JOIN will be different now. In our Data Scientist’s example, the join order will indeed be different. ability to run (sufficiently) many concurrent queries at a time. The execution time is often called “wall time” to emphasize that we’re not really interested in “CPU time” or number of machines/nodes/threads involved. Our Data Scientist’s clock on the wall is the ultimate judge. It would be nice if they were not forced to get coffee/eat lunch during each query they run. On the other hand, a CFO will be interested in keeping cluster costs at the lowest possible level (without, of course, impeding employees’ effectiveness). Lastly, a System Administrator needs to ensure that all cluster users can work at the same time. That is, that the cluster can handle many queries at a time, yielding enough throughput that “wall time” observed by each of the users is satisfactory. It is possible to optimize for only one of the above dimensions. For example, we can have single node cluster and CFO will be happy (but employees will go somewhere else). Contrarily, we may have thousand node cluster even if the company cannot afford that. Users will be (initially) happy, until the company goes bankrupt. Ultimately, however, we need to balance these trade-offs, which basically means that queries need to be executed as fast as possible, with as little resources as possible. In Presto, this is modeled with the concept of the cost, which captures properties like CPU cost, memory requirements and network bandwidth usage. 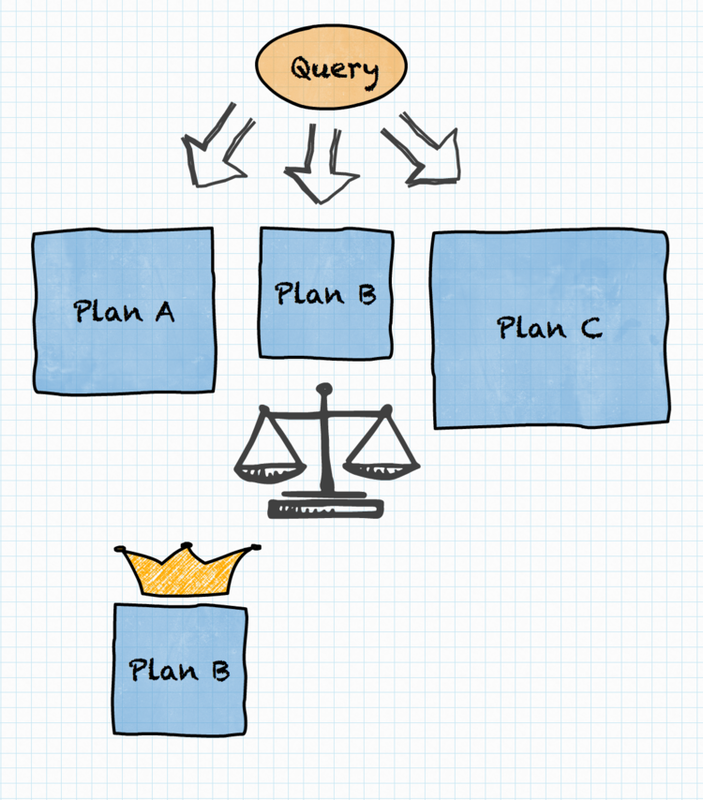 Different variants of a query execution plan are explored, assigned a cost and compared. The variant with the least overall cost is selected for execution. This approach neatly balances the needs of cluster users, administrators and the CFO. The cost of each operation in the query plan is calculated in a way appropriate for the type of the operation, taking into account statistics of the data involved in the operation. Now, let’s see where the statistics come from. In our Data Scientist’s example, the row counts for tables were taken directly from table statistics, i.e. provided by a connector. But where did “~3K rows” come from? Let’s dive into some nitty-gritty details. The way how the statistics are computed for most interesting “building blocks” is discussed below. As explained in “Table statistics” section, the connector which defines the table is responsible for providing the table statistics. Furthermore, the connector will be informed about any filtering conditions that are to be applied to the data read from the table. This may be important e.g. in the case of Hive partitioned table, where statistics are stored on per-partition basis. If the filtering condition excludes some (or many) partitions, the statistics will consider smaller data set (remaining partitions) and will be more accurate. number of distinct values for columns that were not part of the filtering condition, if their original number of distinct values was more than the expected number of data rows that pass the filter. on average, number of data rows expected to pass the filter will be equal to number_of_input_rows * fraction_of_non_nulls / distinct_values. (This assumes, of course, that users most often drill down in the data they really have, which is quite a reasonable assumption and also safe to make). 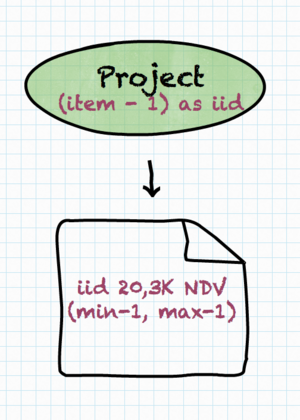 Projections (“l.item – 1 AS iid”) are similar to filters, except that, of course, they do not impact the expected number of rows after the operation. minimum/maximum value produced by the projection. Naturally, if “iid” is only returned to the user, then these statistics are not useful. However, if it’s later used in filter or join operation, these statistics are important to correctly estimate the number of rows that meet the filter condition or are returned from the join. Summing up, Presto’s Cost-Based Optimizer is conceptually a very simple thing. Alternative query plans are considered, the best plan is chosen and executed. Details are not so simple, though. Fortunately, to use Presto, one doesn’t need to know all these details. Of course, anyone with a technical inclination that like to wander in database internals is invited to study the Presto code! In the near future, we will be blogging more about stuff important for users and things that matter to database experts as well. Follow our blog or @starburstdata on Twitter. Last but not least, be sure to take Presto with CBO for a spin today and let us know what is your Presto experience!